When the Kurds voted for independence, Iraqi sanctions soon followed. The Kurds are now blaming their political parties - when they should be uniting in protesting against Baghdad instead. 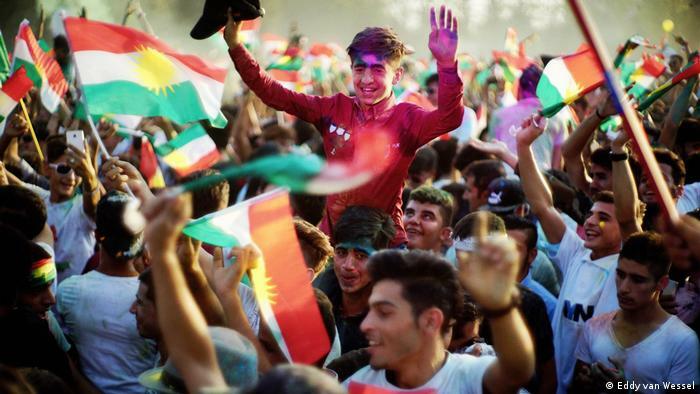 Ignoring all warnings, the Kurds of Iraq in September held a referendum on independence and consequently lost most of the territory they controlled outside their autonomous region when the Iraqi army was sent in to punish them. A development that has increased the divide between their two main power bases--as well as the calls for unity. After the Iraqi army and Shiite militias mid-October took control of the oil-rich city of Kirkuk back from the Kurds, the Kurdish president, Massoud Barzani, was not seen in public for many days. The referendum over independence from Iraq for the Kurdish region, held on September 25, had backfired badly, but Barzani offered no comfort and remained silent. This added to the fury of many Kurds, and to the grief of as many others, because the fall-out from the referendum had destroyed even the last shreds of unity the president had hoped it would create. As Iraqi troops and Shiite volunteers rolled in to take back control of most of the areas that Baghdad and the Kurds have been disputing since 2003, Kurdish politicians and civilians started blaming both each other and the outside world. The blame game is being played along geographical lines: in the western half of the Kurdistan Region under the control of Barzani’s Kurdistan Democratic Party (KDP), the blame is mostly placed on the competition: the Patriotic Union of Kurdistan (PUK) based in the eastern part of the Region, near the Iranian border. The PUK’s leaders blame the KDP, as they tried to convince Barzani to give in to pressure from most of the world--and most importantly Baghdad, the neighbors Iran and Turkey, and the Americans--to postpone the referendum. And when the Iraqi army, in retaliation for the vote, stood poised to take over the oil-rich city of Kirkuk, the PUK ordered their peshmerga troops to retreat—in order to prevent bloodshed and the destruction of the city, they claim. The Barzani front are calling this treason. 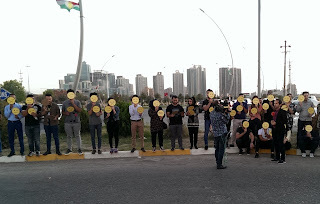 Of the activists present at a small peace demonstration outside the United Nations compound in the Kurdistan capital, Erbil, most agree with that notion. Like Chiman Khaled, whose father was a peshmerga fighter killed by the former Iraqi dictator, Saddam Hussein. She blames part of the PUK for the loss of Kirkuk: “A wing of the party accepted help from outside, which led to betrayal,” she says, choosing her words carefully. She is so precise in putting the blame on just part of the party, because one PUK leader, Kosrat Rasul, took the KDP side, promising to defend Kirkuk. But when the other PUK battalions pulled back, he too was eventually forced to quit. The retreat of the peshmerga led to thousands of Kurds fleeing the city, fearing abuse by the Iranian-led Hashed al-Shabi militias, which have earned quite a reputation for brutality in the fight against the Islamic group ISIS. Weeks later, many have still not returned home, while many more Kurds have fled other towns and villages that have come under fire. The part of the already badly-divided PUK that didn’t fight was led by the sons and nephews of the recently-deceased PUK leader, Jalal Talabani. His eldest son, Bafel, took the lead there, after opposing the referendum, even though he only holds a minor position in the party. The day before it was due to be held, he called on the KDP to postpone it; Barzani replied that it was too late for that. In PUK-majority towns, many stayed home, and the turnout was barely fifty percent. Jalal Talabani’s funeral, which took place just days after the referendum, would normally have been an opportunity to smooth over conflicts. However, no solutions were forthcoming. Soon after, when it became clear what measures Baghdad was preparing in response to a referendum it deemed illegal, Jalal’s son Bafel called for a meeting with other Kurdish parties in the lakeside town of Dukan--a symbolic venue, as his father’s guest house there had welcomed many fugitives from the wrath of previous Iraqi leaders. He presented a plan to pressure the Iraqi Prime Minister, Haidar al-Abadi, into much-needed talks; the plan included a freeze on the referendum outcome and the peaceful handing over of Kirkuk, which was to be placed under joint Kurdish-Iraqi control. Barzani is said to have left the meeting in a rage—perhaps because it was clearly arranged following stiff pressure from neighboring Iran, which has traditionally been a major influence on the PUK and other Kurdish parties. Iran’s Republican Guards’ Quds Force commander Qasem Soleimani had traveled back and forth between the different Kurdish cities and Baghdad, first to warn against holding the referendum, and later to threaten death and destruction if the outcome was not annulled and Kirkuk was not handed over. “Rather than face thousands of dead and fighting in Kirkuk, we decided to make a tactical retreat,” Bafal Talabani told France24 when confronted with the accusations of treason. He called for an investigation into what had happened, as fighting had still led to the death of dozens of peshmerga fighters. He also indicated that Abadi had been willing to reach agreements when the Kurdish leaders met in Dukan “to stop the trouble in Kirkuk,” but that the leaders—he didn’t blame Barzani by name--had not been able to decide fast enough. Both Iran and Region’s other neighbor, Turkey, are worried about the impact the referendum--and a subsequent process leading to an independent Kurdish state in Iraq—could have for their own Kurdish minorities. They therefore sided with Baghdad to punish the Iraqi Kurds as a clear message to their own citizens: do not even consider anything like this! Tehran closed its border to maximize pressure on the PUK, as oil exports to Iran and petrol imports from that country account for much of the income of both the party and the Talabani family. In this respect, too, there is a clear split between the PUK/Talabani family on the one hand and the the Barzanis and the KDP-dominated government, which has been working closely with Turkey over the past decade, with major Turkish investment feeding into an economic boom and the transportation of Kurdish oil through Turkey, and Turkish loans, helping out during the recent recession. But given the Kurdish leaders’ failure to show unity, and Barzani’s refusal to agree to Abadi’s demand to annul the vote, the Iraqi military take-over did not stop at Kirkuk. The army has since taken back most of the disputed areas, while fighting has broken out between the Kurdish peshmerga and Iraqi and Hashed troops at some strategic locations. This was probably partly because the KDP had been ready for a fight, as an advisor to the Kurdish Prime Minister, who wants to remain anonymous, admitted just after the referendum was held. The adviser indicated that the vote had not been postponed, partly because elements within the KDP, mostly led by Barzani’s son Masrour, who heads the security forces, had decided that only now would they receive enough international support to counter any measures taken by Baghdad and the Region’s neighbors militarily. They argued that the Americans and Europeans would stop supporting them just as soon as the Kurds were no longer needed in the battle against ISIS--“And then Baghdad will use chemical weapons against us again, just as Saddam’s Baath party did before them,” the advisor said, promising mistakenly that the Peshmerga would fight for Kirkuk and win, because they were considered the stronger force. This is another clear break with the PUK, which predicted such a battle would be lost: the Kurds had mainly been successful in the fight against ISIS, PUK analysts argued, because of the daily air support they received from the coalition. Meaning they stood no chance against the Iraqis and their mostly American-supplied weapons. These analysts included Bafel Talabani, who had set up the PUK special forces now led by his cousin, Lahur. But in the KDP, the view was that the battle would come sooner or later anyway, as Baghdad has been unwilling to reach agreements over the disputed areas since the constitution was accepted in 2005, and according to which, the process for deciding who took control there, which included a census and a referendum, should have been completed by late 2007. Since that never happened, Baghdad would someday send the army in to take back the territories the Kurds had been able to take over. When they did, any excuse would do. At the Erbil protests, many blamed the Americans for not helping the Kurds, and for allowing the Iraqi army and Shiite militias controlled by Iran to take over the disputed territories. Many simply had not believed the Americans when they warned the Kurds that, if the referendum went ahead, they would be unable to shield them from the consequences. By carrying Israeli flags and portraits of the Israeli leader, Benjamin Netanjahu, next to those of the Russian leader, Vladimir Putin, some revealed where they had now placed their trust. Many within KDP feel that the battle will have to be fought in order to get Baghdad to the negotiation table. This view is clearly expressed in this tweet from a Kurd calling himself 4K: “Baghdad don't want peace, we can see this through its aggression and demands, only force can stop Baghdad it's aggression and sit to listen”. At the other side of the Kurdish spectrum, deceased PUK leader Jalal Talabani had declared in the past that he could not keep his people “from dreaming about their own Kurdish state, but that secession from Iraq is not realistic.” This view is shared by his sons, who call for Kurdish unity in order to get the best deal possible to stay within the Iraqi federation. 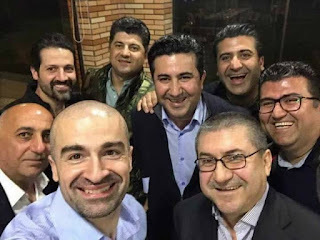 As deputy Prime Minister, Talabani’s younger son Qubad is, interestingly enough, working closely with Massoud’s nephew and Prime Minister, Nechirvan Barzani. The latter stayed out of the limelight during the referendum campaign, but has now resurfaced as a strong supporter of unity. He is the main candidate for taking over part of his uncle’s job after he steps down. A coalition of three opposition parties has come up with a road map for addressing the crisis, which calls for the abolishment of the office of president and the transfer of his authorities to government institutions. It also promotes the formation of a provisional government to negotiate with Baghdad and prepare for new parliamentary elections to be held in Kurdistan, leading to a new parliament and the formation of a new government. Barzani’s decision not to give in to pressure to delay the referendum is seen by many as a grave mistake that led to the Kurds losing most of what they had achieved since the fall of dictator Saddam Hussein in 2003. The deal offered by American Secretary of State Rex Tillerson, which was leaked, has even convinced members of the KDP, showing as it does that had Barzani delayed, the Americans and the United Nations would have worked with the Kurds and Baghdad to solve the points of conflict between the two. If after two years that did not work out, the deal stipulated, the option of holding the independence referendum would be on the table. Prominent PUK politician Mahmoud Othman, while supporting the proposal, warned that Abadi’s demand to nullify the results of the referendum could not be met. “(The) proposal could create a platform for dialogue. Request to cancel referendum results not feasible, all sides should be flexible”, he tweeted. Even so, many will not budge in their support for their president, and keep on blaming others for the crisis. Like Kurdish activist Nergiz‏ on Twitter: “There are no regrets in having voted yes in the referendum. Given the chance, would vote yes again. Thank you President @masoud barzani”. And even stronger, Mêrdîn Dilêmine‏, who lives in Toronto and defends Barzani blindly for having put Kurdistan on the international map: “He is not loser, he was brave& let the world know d will of people of Kurdistan. In that sense he is a true winner in the hearts and minds”. While the "Islamic State" (IS) has lost most of its cities in Iraq and Syria, thousands of Yazidis it kidnapped are still missing. Activists say some are being hidden within IS families. 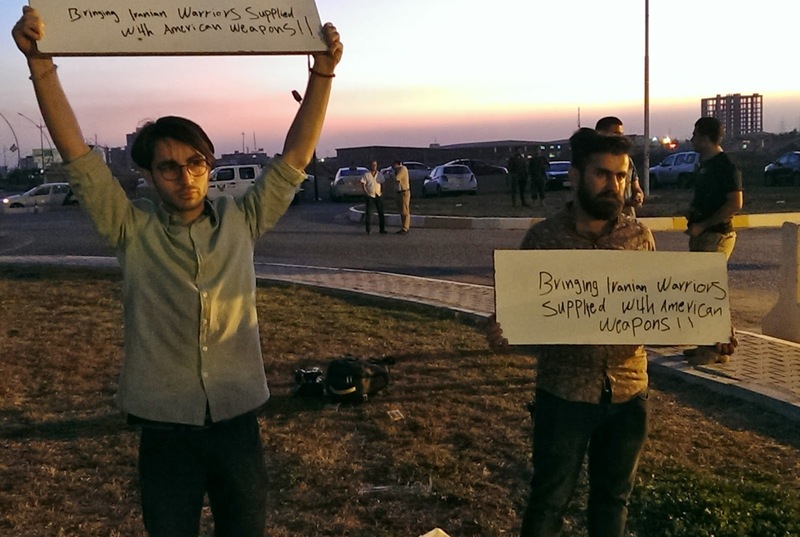 Judit Neurink reports from Irbil. Almost half of the over 6,000 Yazidis kidnapped three years ago by the IS group have still not been found. 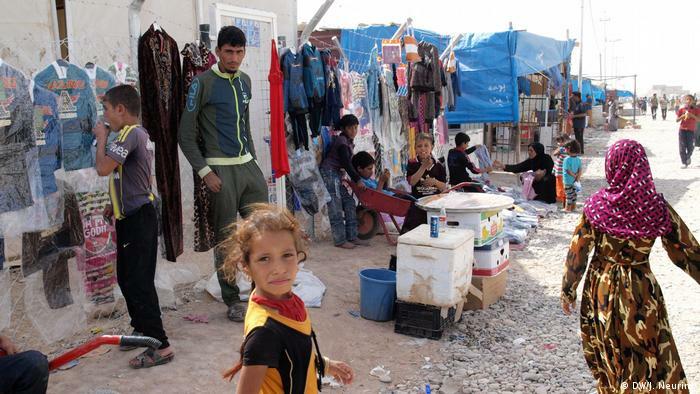 Yet many of them are hidden in plain sight, aid workers and Yazidi activists say, living with Arab families who have sought refuge in Internally Displaced Person (IDP) camps. Forced to convert to Islam, they now fear for their lives if they are found, aid worker and Yazidi activist Mirza Dinaye says. He is calling for an active search and for the Yazidis to be returned to their families. They are victims of the IS policy to eradicate the Yazidi faith, he says. "We know they are completely assimilated into the Muslim community. They think the Yazidi faith has been eradicated, and often suffer from Stockholm syndrome," — a special, often intimate relationship between victims and kidnappers. That was the case for Mediha Ibrahim, 13, a Yazidi girl kidnapped by IS in August 2014, who spent the next three years living with the families of Turkish IS fighters in their stronghold of Talafar. During that time, they turned her into a Muslim. Iraqi Kurds grieve the loss of lands they have had to return to Iraq's control and their shattered dream of independence. As they see it, it isn't their politicians who are to blame, but the international community. "Why did our peshmerga die in the fight against Daesh?" 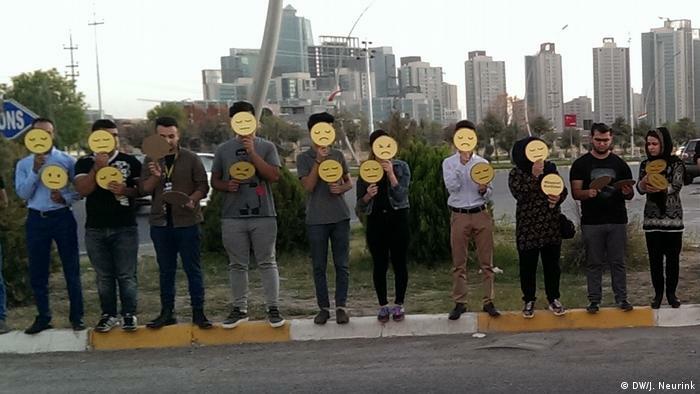 asks Hawre Ali, who stands by while protesters pose for pictures with yellow sad-faced smileys. Outside the United Nations compound in Iraqi Kurdistan's capital Irbil, peace protesters gather. They mourn for the territories the Iraqi army has taken back from the Kurds over the last few days, some of which peshmerga fighters had recaptured from the "Islamic State" terror group, or Daesh, with the loss of Kurdish lives. "What did we fight for?" Ali wonders. For three years, the peshmerga fought IS — mainly in the so-called "disputed" territories that both the Kurds and Baghdad claim for themselves — with air support from the US-led international coalition against IS. They lost almost 2,000 peshmerga troops in battle, with another 18,000 wounded. It is possible that the gold jewellery you bought from a shop, or via the internet, was once a wedding present given to a Yazidi women, kidnapped by Islamic State (IS) when it captured the Iraqi province of Sinjar in August 2014; just like that painting you found in a market that used to belong to an Iraqi, whose house was looted by IS in Mosul. Looting has always been a problem during Iraq’s many wars - but it has been especially prevalent during the past three years of IS rule. The group didn’t just seize all the gold and valuables of the 6,000-plus Yazidis that it captured. When I drove into the ruined town of Sinjar soon after it was liberated in late 2015, I noticed that every door of every house had been left wide open by looters. More recently, Iraqis who returned to check on their homes after IS had been driven out found that most of their valuables and furniture had gone. 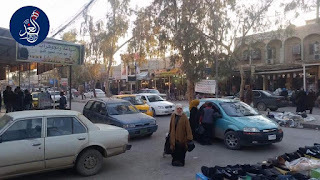 Inside the occupied cities, IS gave its fighters the houses of those who fled its rule. When the time came for the fighters themselves to escape, they stripped the houses bare. The furniture eventually turned up in second-hand markets across Iraq. It wasn’t only private possessions that were taken; heritage sites in Iraq and Syria were looted and antiquities smuggled out and sold on the black market. Some of these artefacts have been recovered from safe houses in Mosul - but most have disappeared. Children have been among those worst hit by "Islamic State" occupation and the battle to liberate Mosul. They suffer malnutrition for lack of food, and toxic stress from the violence they witnessed, Judit Neurink reports. "Look, he is walking again!" Hanan Mohammed, 43, smiles, setting her two-year-old down on his skinny legs. The family of three recently escaped the Old City of Mosul, where fighting had been going on for weeks, and food and water had been scarce for months. "Daesh left us hungry," she says, using the local abbreviation for the self-styled "Islamic State" (IS) militant group. "There was nothing to buy, and what was there was very expensive." That's why she could not feed her children and lost a six-month-old baby to malnutrition. Her son had started walking, but stopped again for the same reason. The German consulate in Irbil is helping Iraqi refugees overcome bureaucratic obstacles on their way to rejoining family members in Germany. 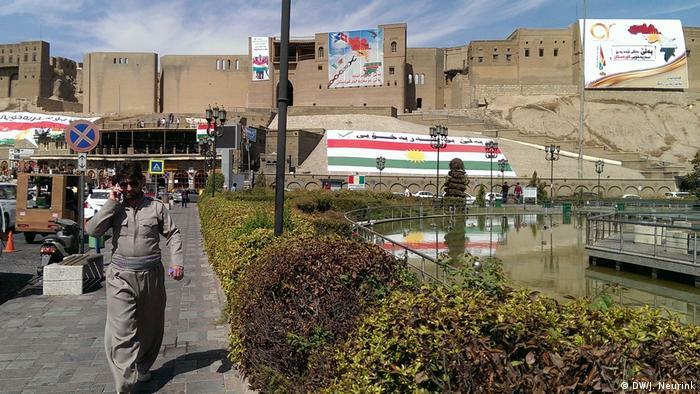 Judit Neurink reports from Irbil. "I miss him so," Mahdia, 17, says, as tears roll down her face. Her twin brother Mehdi fled to Germany a while ago and she is now with their family in the office of the International Organization for Migration (IOM) in the Iraqi Kurdistan capital of Irbil to prepare the paperwork needed to join him there. Her father, Abas Khalil Elias, wipes his eyes too. He looks haggard after living in a camp for the past three years, trying to feed his eight remaining children by working on the fields. Before the "Islamic State" (IS) group entered their village of Khanasur in the Yazidi province of Sinjar in August 2014, he was a driver. The Yazidi family fled to the Sinjar mountains where a corridor was created to keep them out of IS' hands. Thousands of other Yazidis were not so lucky; IS captured at least 6,000 women and children and killed thousands of men. A year ago the Iraqi town of Fallujah - captured by IS in 2014 - was liberated. When Judit Neurink visited the town, she found the scars of occupation still prevalent. The scenes in the town are depressing. Dead bodies are still being found under the rubble of destroyed buildings. And at least once a week, injured children are being brought into the only partly operational hospital after playing with or stepping on explosives left behind by the "Islamic State" (IS). "Only about half of the town has been cleared," Hamid Abud Fahd, assistant director of a local health center, told DW. "The government has no money, but the rest needs to be cleared urgently, and the city has to be rebuilt." Only those who can afford it have left the camps around the city, where thousands of Fallujah's inhabitants still live a year on, to rebuild or repair their homes. And even if the government has started paying its civil servants again, there's no money on its way from Baghdad to help rebuild the many government buildings that have been destroyed. Although the "Islamic State" (IS) group has been driven from the eastern half of Mosul, their influence is still keenly felt within the Sunni community. Judit Neurink reports from Khazir Camp. Taking a break from shoveling sand against the bottom of the tent his family has been assigned in Khazir Camp southeast of Mosul, Ahmed Ali Hamna, 39, relates how he spent two years hiding from the self-styled "Islamic State" (IS). The former policeman recently arrived from Iraq's second city Mosul. "When Daesh catches you, they will behead you," he tells DW, using the local Arabic name for IS. That risk was not new to him: As a police sergeant in Mosul, he was always at risk for not joining the group. "For two years, I hid, going from house to house. And when you do go out, you make sure your trousers are short and your beard long enough, so you nobody notices you." A young woman appears from the tent. She is his widowed sister, Hamna says. "Daesh killed her husband, my cousin. They took him from his home because he was in the intelligence services before. After a month in prison, he was executed." An Iraqi aid worker calls them a ticking time bomb. Almost 170 families are being held in isolation in the Shahama camp, near the city of Tikrit, without access to even a phone to check on their loved ones. Al-Monitor received permission from security forces to visit the camp and spoke with some of the people living there. “We were not with Daesh [Islamic State (IS)], and they never gave us anything,” Samara Musa said inside the almost empty tent she occupies with her nine children. Her husband was picked up by the Iraqi army because his brother was with IS. Musa said, however, “We opposed his decision.” Her brother-in-law is currently in Syria with the extremist group. 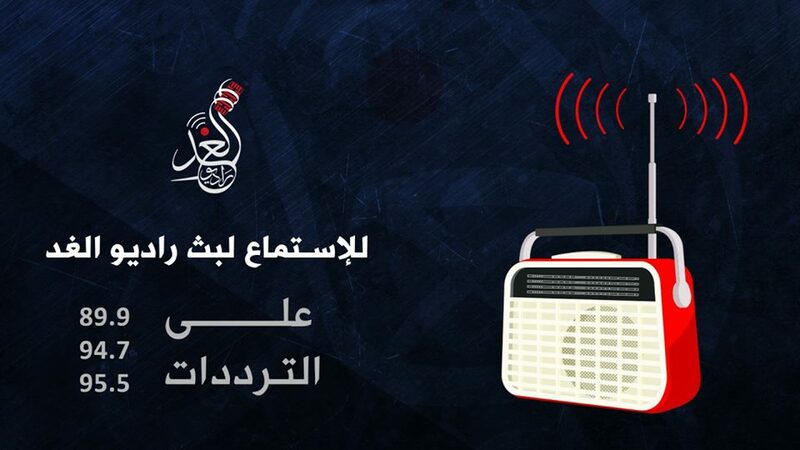 Shahama is the only official camp for the family of IS members in Iraq. 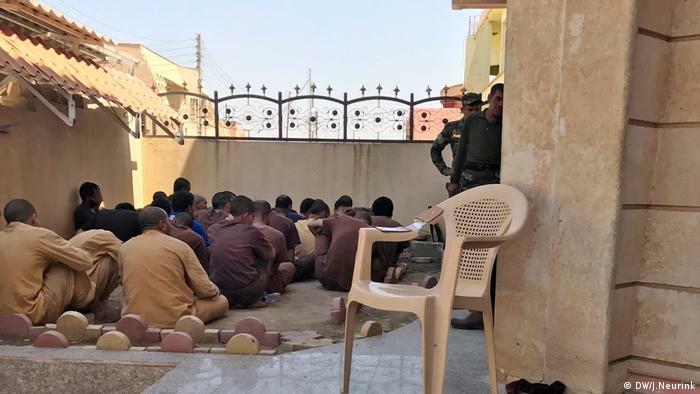 While the war against IS rages, women, children and some elderly couples whose husbands, brothers, fathers and sons joined IS find themselves locked in Shahama, the Iraqi army having judged them guilty by association, without the involvement of a single court or judge. Protecting the community is the official reason given for their treatment, but the inmates appear to need protection as well, from members of the community seeking revenge. We knew the fight for the West of Mosul was going to be a tough one. Yet the deaths of hundreds of civilians, under the rubble of collapsed buildings, are much more than collateral damage on the just cause to beat the Islamic terror group ISIS. Were the buildings, where ISIS had collected civilians as a human shield, rigged by explosives set off by the group, as the Iraqi army is indicating? Or was the information the Iraqis fed the coalition on targets incorrect? Or did the Iraqis chose the location too lightly, just targeting the sharp shooters on the roof who were taking the attention away from the real targets next door? There are many questions that can and should be asked, because killing hundreds of innocent civilians in one day can never justified. The coalition has since said they take "deliberate actions to minimize unnecessary suffering" and that they will "continue to prioritize the protection of the people of Iraq". But what is unnecessary suffering, if not the way men, women and children died, cramped in a cellar trying to survive from the ferocious bombing campaign? I absolutely agree that ISIS needs to be defeated, but surely not to the costs of civilians who also spent almost three years under the cruel rule of ISIS. The way they now get killed, makes you wonder about the care that the military has been taken in this battle. By trapping ISIS on the Westbank of Mosul, one could predict that the fighting would be fierce as all these brainwashed men can do is fight till death that they believe will bring them paradise. Their cause, the jihad, is omni important for them; civilians who are not supporting it are unbelievers and seen as the enemy. These civilians are really caught in the middle, as on the one hand the ISIS top issued a special fatwa making it OK if Muslim civilians get killed in the fight for the good cause. And on the other hand, the policy of Baghdad in the past has shown that it considered Mosul as a city that deserved ISIS for the way it showed its unhappiness with the Shiite government. 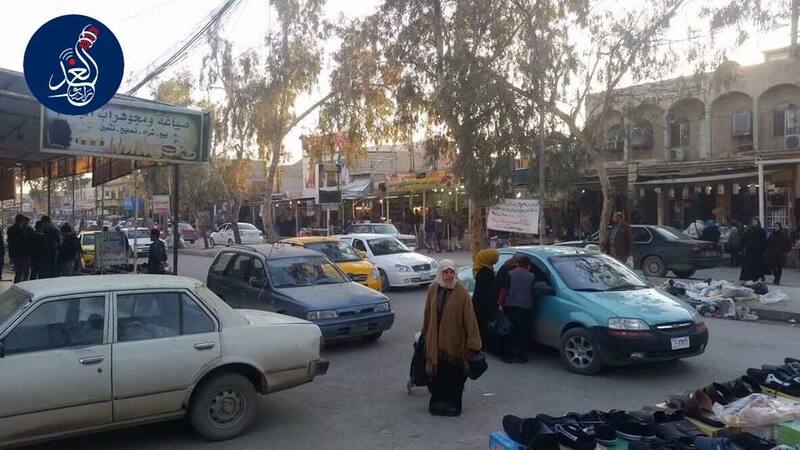 Moslawi civilians are very aware of the fact that Baghdad was forewarned about the activities of ISIS that led to its take over of the city in Juni 2014, and did nothing to prevent it. They also remember very well that Iraqi troops got out when ISIS entered in stead of defending them, based on orders from then prime minister Nouri al-Maliki. Even though civilians are grateful to and happy with the troops that liberate them from ISIS, and have shown this in every area the Iraqi army reached, that feeling does not extend to the Iraqi government. helping to increase the popularity of the Shiite politicians in charge in Baghdad. Moslawis have been through hell, as they told me, lost three years of their lives and are now confronted with the loss of houses and livelyhood. They now need a government that they can trust, to be able to put their trust in the future and start rebuilding. And they need to be sure that ISIS will not in some way get back and retaliate. What is needed first is to finish off ISIS in Mosul, but as the neighbourhoods left are old and cramped, the policy of leaving the ISIS fighters no corridor to escape should be reconsidered. Let the fighters know they can leave, as long as they leave all behind, and part of the desperation will leave the battle for them too. Finish them off elsewhere, where civilians are not going to be involved. Lure them to another place to smoke them out. Whatever policy is used will do, as long as inocent people are left off the hook. We expect they will regroup in the border area of Syria and Iraq, which is mostly desert and hardly inhabited, so that sounds like the perfect place to contain and beat them. Because if the government is honest about wanting to liberate Mosul, it needs to show it cares for its people. And only if Moslawis have the feeling that their urge to rebuild their city and their lives will be supported by politicians that run the country, they will be tempted to make this happen.